Well, for the third time in its short history the FIU Law Program produced the highest pass rate of any school in the State. Congratulations to FIU's new Lawyers. Congrats, FIU College of Law! I can't read the full article. Is this the main bar exam? I know it's offered at least twice throughout the year. One of them includes most of the exam takers, the other(s) only include(s) a few. Regardless, FIU has - at a minimum - been competitive with most Florida law schools, and frequently bettered most of them in at least the Bar scores. I have no idea how most Florida schools fare in regards to employment and salary, etc. But it's my belief that FSU is the best law school in the state (it's literally blocks from state and federal courts - hard to compete with that, and does well with student employment figures and professors' publication numbers). UF is a close second (but mainly due to age and history, imo). But FIU and UM are who I consider 3rd. (And in the nation's third largest state that's not too shabby.) I've seen enough good news about FIU's law school that it makes me pause before just assuming UM is 3rd. Looks like the main one from July to me. There were nearly 2700 who attempted the exam. Only three schools finished with an above 80% pass rate; FIU (89%), followed by UF (87%) and FSU (80%). The average pass rate which includes Ave, Florida Costal, St. Thomas, Barry, FAMU, etc. was 69%. The school from across town was at 69% as well. Stetson came in at a nice 75% by the way. 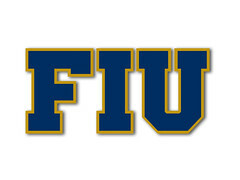 To put a bow on it, FIU has finished first 3 of the 11 years it's had a class taking the exam. Looks pretty competitive to me. FIU Law has made great strides, still in its infancy as a College of Law. It's evident, based on such strong early results, that this school's best years are still ahead of them. Congrats FIU Law!